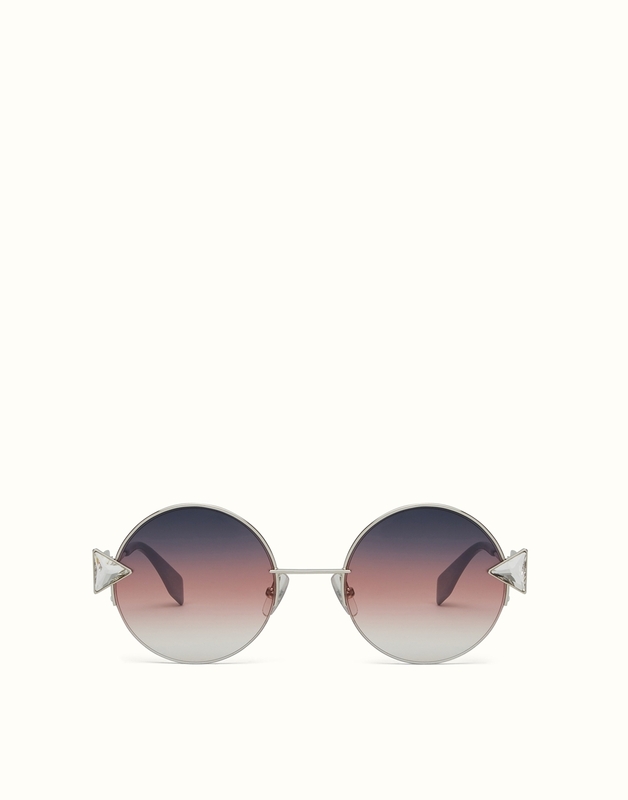 THE FENDI RAINBOW ROUND COLLECTION IS A SELECTION OF 60'S INSPIRED SUNGLASSES. MADE OF LIGHTWEIGHT METAL WITH ANGUAL TEMPLES. THE FENDI LOGO IS ENGRAVED IN THE TEMPLE. FINISHED WITH A CRYSTAL TRIANGLE INSERT. LIGHT BLUE TEMPLE TIPS TIE IN WITH THE CRYSTAL AT THE TRIANGLE CRYSTAL DETAIL.